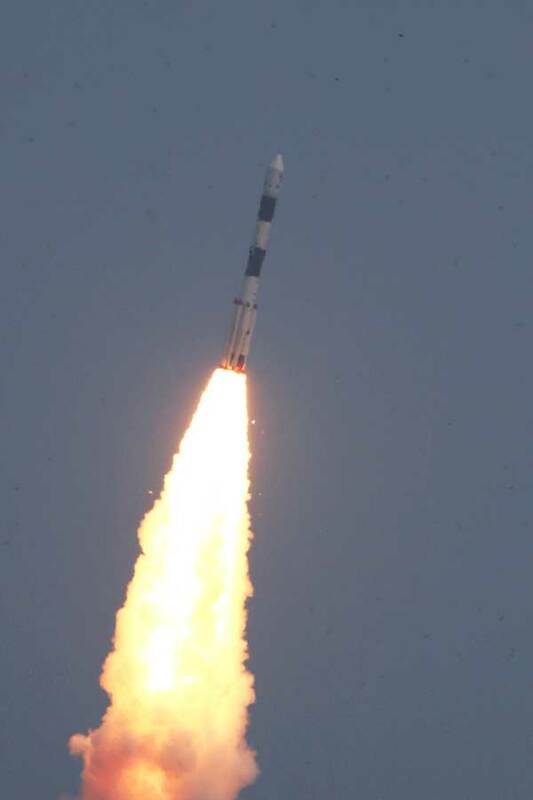 In its thirty first flight (PSLV-C30) conducted today (September 28, 2015), India's Polar Satellite Launch Vehicle successfully launched ASTROSAT, the country's Multi Wavelength Space Observatory along with six foreign customer satellites into a 644.6 X 651.5 km orbit inclined at an angle of 6 deg to the equator. The achieved orbit is very close to the intended one. This was the thirtieth consecutive success for PSLV. PSLV was launched today in its heaviest ‘XL’ version with six strap-on motors of the first stage. The launch took place from the First Launch Pad at the Satish Dhawan Space Centre SHAR (SDSC SHAR), Sriharikota, the spaceport of India. The 320 tonne, 45 m tall PSLV-C30 carrying seven satellites including the 1513 kg ASTROSAT, lifted off at 10:00 Hrs IST. About twenty two minutes after lift-off, ASTROSAT was successfully placed in orbit and separated from the fourth stage of PSLV-C30. The separation of all the six co-passenger satellites was completed in the subsequent three minutes. The seven satellites carried by PSLV-C30 together weighed about 1631 kg at lift-off. This was the thirtieth consecutive success for PSLV. Through 30 successful flights during 1994-2015 period, PSLV has launched a total of 84 satellites including the seven satellites successfully launched today. Today’s launch of six co-passenger satellites by PSLV-C30 was facilitated by Antrix Corporation Limited, the commercial arm of the Indian Space Research Organisation (ISRO), a government of India Company under the Department of Space (DOS).